Derek Ott, M.D., M.S. was born and raised in Kansas City, Missouri. He attended Stanford University where he received a B.A. degree in Human Biology with Honors. He subsequently attended the University of Illinois in Urbana-Champaign, where he completed his medical and graduate training (Masters in Neuroscience). Dr. Ott began his clinical training in psychiatry at the University of California-Los Angeles Resnick Neuropsychiatric Hospital in Westwood, where he completed a residency in Adult Psychiatry as well as a fellowship in Child and Adolescent Psychiatry. Following this clinical training, Dr. Ott participated in a NIMH sponsored post doctoral fellowship which focused on psychopathology in pediatric epilepsy. He has authored several publications in this and related fields and is the recipient of several awards for his research efforts and teaching. 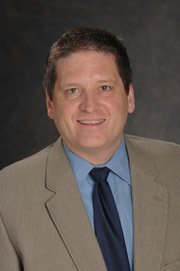 Dr. Ott is board certified in Adult as well as Child/Adolescent Psychiatry. Currently, he is an Assistant Clinical Professor of Psychiatry at UCLA and the director of the UCLA Pediatric Neuropsychiatry Clinic. He also serves as an attending for several other teaching settings in the UCLA Division of Child Psychiatry, including the Pediatric Psychopharmacology Clinic, the Pediatric Consultation Liaison Service, and UCLA/Westside Regional Center Clinic. In addition, Dr. Ott has admitting privileges at the UCLA Resnick Neuropsychiatric Hospital in Westwood. Dr. Ott’s private practice focuses on psychopharmacology in children, adolescents, and adults. More specifically, Dr. Ott has particular expertise in the areas of neuropsychiatry, developmental disabilities (including autism/mental retardation), attention-deficit hyperactivity disorder, and childhood psychosis. He is often sought out for his knowledge and skills in the management of complicated cases. Furthermore, he has extensive experience working with individuals with neurological disorders (epilepsy/seizures, brain injury, tics, other movement disorders) and/or developmental disabilities (mental retardation, autism, Asperger’s Syndrome), as well as comorbid behavioral/psychiatric disorder. Given this background, Dr. Ott is a frequent lecturer (academic, CME and pharmaceutical sponsored events) and consultant, as well as expert witness in legal cases for both the plaintiffs and defendants.